listen)), formerly known as Ancyra and Angora, is the capital of the Republic of Turkey. With a population of 4,587,558 in the urban center (2014) and 5,150,072 in its province (2015), it is Turkey's second largest city after Istanbul. Ankara was Atatürk's headquarters from 1920 and has been the capital of the Republic since its founding in 1923, replacing Istanbul following the fall of the Ottoman Empire. The government is a prominent employer, but Ankara is also an important commercial and industrial city, located at the center of Turkey's road and railway networks. The city gave its name to the Angora wool shorn from Angora rabbits, the long-haired Angora goat (the source of mohair), and the Angora cat. The area is also known for its pears, honey, and muscat grapes. Although situated in one of the driest places of Turkey and surrounded mostly by steppe vegetation except for the forested areas on the southern periphery, Ankara can be considered a green city in terms of green areas per inhabitant, at 72 square metres (775 square feet) per head. As with many ancient cities, Ankara has gone by several names over the ages. It has been identified with the Hittite cult center Ankuwaš, although this remains a matter of debate. In classical antiquity and during the medieval period, the city was known as Ánkyra (Ἄγκυρα, lit "anchor") in Greek and Ancyra in Latin; the Galatian Celtic name was probably a similar variant. Following its annexation by the Seljuk Turks in 1073, the city became known in many European languages as Angora; it was also known in Ottoman Turkish as Engürü. The form "Angora" is preserved in the names of breeds of many different kinds of animals, and in the names of several locations in the US (see Angora). The region's history can be traced back to the Bronze Age Hattic civilization, which was succeeded in the 2nd millennium BC by the Hittites, in the 10th century BC by the Phrygians, and later by the Lydians, Persians, Greeks, Galatians, Romans, Byzantines, and Turks (the Seljuk Sultanate of Rûm, the Ottoman Empire and Turkey). Another important expansion took place under the Greeks of Pontos who came there around 300 BC and developed the city as a trading center for the commerce of goods between the Black Sea ports and Crimea to the north; Assyria, Cyprus, and Lebanon to the south; and Georgia, Armenia and Persia to the east. By that time the city also took its name Ἄγκυρα (Ánkyra, meaning anchor in ancient Greek) which, in slightly modified form, provides the modern name of Ankara. The city was subsequently conquered by Augustus in 25 BC and passed under the control of the Roman Empire. Now the capital city of the Roman province of Galatia, Ancyra continued to be a center of great commercial importance. Ankara is also famous for the Monumentum Ancyranum (Temple of Augustus and Rome) which contains the official record of the Acts of Augustus, known as the Res Gestae Divi Augusti, an inscription cut in marble on the walls of this temple. The ruins of Ancyra still furnish today valuable bas-reliefs, inscriptions and other architectural fragments. Augustus decided to make Ancyra one of three main administrative centers in central Anatolia. The town was then populated by Phrygians and Celts—the Galatians who spoke a language somewhat closely related to Welsh and Gaelic. Ancyra was the center of a tribe known as the Tectosages, and Augustus upgraded it into a major provincial capital for his empire. Two other Galatian tribal centers, Tavium near Yozgat, and Pessinus (Balhisar) to the west, near Sivrihisar, continued to be reasonably important settlements in the Roman period, but it was Ancyra that grew into a grand metropolis. The Res Gestae is the self-laudatory autobiography completed in 13 AD, just before his death, by the first Roman emperor Augustus. Most of the text is preserved in the Monumentum Ancyranum. The Roman Baths of Ankara were constructed by the Roman emperor Caracalla (212–217) in honor of Asclepios, the God of Medicine, and built around three principal rooms: the caldarium (hot bath), the tepidarium (warm bath) and the frigidarium (cold bath) in a typically laid-out Template:Convert/Dual/LoffAnoneDbSon classical complex. Ancyra's importance rested on the fact that it was the junction point where the roads in northern Anatolia running north-south and east-west intersected. The great imperial road running east passed through Ankara and a succession of emperors and their armies came this way. They were not the only ones to use the Roman highway network, which was equally convenient for invaders. In the second half of the 3rd century, Ancyra was invaded in rapid succession by the Goths coming from the west (who rode far into the heart of Cappadocia, taking slaves and pillaging) and later by the Arabs. For about a decade, the town was one of the western outposts of one of Palmyrean empress Zenobia in the Syrian Desert, who took advantage of a period of weakness and disorder in the Roman Empire to set up a short-lived state of her own. However, the persecution proved unsuccessful and in 314 Ancyra was the center of an important council of the early church; which considered ecclesiastical policy for the reconstruction of the Christian Church after the persecutions, and in particular the treatment of 'lapsi'—Christians who had given in and conformed to paganism during these persecutions. Three councils were held in the former capital of Galatia in Asia Minor, during the 4th century. The first of these, the Synod of Ancyra, an orthodox plenary synod, was held in 314, and its 25 disciplinary canons constitute one of the most important documents in the early history of the administration of the Sacrament of Penance. Nine of them deal with conditions for the reconciliation of the lapsi; the others, with marriage, alienations of church property, etc. In 362–363, the Emperor Julian the Apostate passed through Ancyra on his way to an ill-fated campaign against the Persians, and according to Christian sources, engaged in a persecution of various holy men. The stone base for a statue, with an inscription describing Julian as "Lord of the whole world from the British Ocean to the barbarian nations", can still be seen, built into the eastern side of the inner circuit of the walls of Ankara Castle. The Column of Julian which was erected in honor of the emperor's visit to the city in 362 still stands today. In 375, Arian bishops met at Ancyra and deposed several bishops, among them St. Gregory of Nyssa. In the late 4th century, Ancyra became something of an imperial holiday resort. After Constantinople became the East Roman capital, emperors in the 4th and 5th centuries would retire from the humid summer weather on the Bosporus to the drier mountain atmosphere of Ancyra. Theodosius II (408–450) kept his court in Ancyra in the summers. Laws issued in Ancyra testify to the time they spent there. The city's military as well as logistical significance lasted well into the long Byzantine rule. Although Ancyra temporarily fell into the hands of several Arab Muslim armies numerous times after the 7th century, it remained an important crossroads polis within the Byzantine Empire until the late 11th century. It was also the capital of the powerful Opsician Theme, and after c. 750 of the Bucellarian Theme. Ancyra, known in the West also as Angora, continued to be a residential see of the Eastern Orthodox Church until the 20th century, with about 40,000 faithful, mostly Turkish-speaking, but that situation ended as a result of the 1923 Convention Concerning the Exchange of Greek and Turkish Populations. The earlier Armenian Genocide put an end to the residential eparchy of Ancyra of the Armenian Catholic Church, which had been established in 1850. Both the Greek archbishopric and the Armenian eparchy are now listed by the Catholic Church as titular sees. It is also a titular metropolis of the Ecumenical Patriarchate of Constantinople. In 1071, the Seljuk Turkish Sultan Alp Arslan conquered much of eastern and central Anatolia after his victory at the Battle of Manzikert. He then annexed Ankara, an important location for military transportation and natural resources, to his territory in 1073. In 1077 the Seljuk Sultanate of Rum (Anatolia) was established, which seceded from the greater Seljuk Empire. The Byzantines recaptured Ankara in 1101. The Danishmends captured it in 1127. Finally, the Sultanate of Rum retook it in 1143. After the Battle of Köse Dağ in 1243, in which the Mongols defeated the Seljuks, most of Anatolia became part of the dominion of the Mongols. Taking advantage of Seljuk decline, a semi-religious cast of craftsmen and trade people named Ahiler chose Ankara as their independent city-state in 1290. Orhan I, the second Bey of the Ottoman Empire, captured the city in 1356. Timur defeated Bayezid I at the Battle of Ankara in 1402 and took the city, but in 1403 Ankara was again under Ottoman control. Kızılay Square during the early years of the Turkish Republic, with the later relocated Su Perileri (Water Fairies) fountain, c. 1930. Following the Ottoman defeat at World War I, the Ottoman capital Constantinople (modern Istanbul) and much of Anatolia were occupied by the Allies, who planned to share these lands between Armenia, France, Greece, Italy and the United Kingdom, leaving for the Turks the core piece of land in central Anatolia. In response, the leader of the Turkish nationalist movement, Mustafa Kemal Atatürk, established the headquarters of his resistance movement in Ankara in 1920. After the Turkish War of Independence was won and the Treaty of Sèvres was superseded by the Treaty of Lausanne, the Turkish nationalists replaced the Ottoman Empire with the Republic of Turkey on 29 October 1923. A few days earlier, Ankara had officially replaced Constantinople as the new Turkish capital city, on 13 October 1923. Ankara has a dry summer continental climate (Dsa) under the Köppen climate classification, with some regions of the province having a warm summer subtype (Dsb) depending on elevation. Under the Trewartha climate classification, Ankara has a middle latitude steppe climate (BSks). Due to its elevation and inland location, Ankara has cold, snowy winters and hot, dry summers, with cool nightly temperatures. Rainfall occurs mostly during the spring and autumn. Ankara lies in USDA Hardiness zone 7b, and its annual average precipitation is fairly low at 400 millimeters (16 in), nevertheless precipitation can be observed throughout the year. Monthly mean temperatures range from 0.3 °C (32.5 °F) in January to 23.5 °C (74.3 °F) in July, with an annual mean of 12.02 °C (53.6 °F). The city has exported mohair (from the Angora goat) and Angora wool (from the Angora rabbit) internationally for centuries. In the 19th century, the city also exported substantial amounts of goat and cat skins, gum, wax, honey, berries, and madder root. It was connected to Constantinople by railway before the First World War, continuing to export mohair, wool, berries, and grain. A panorama of Atatürk's Mausoleum. It is the most popular sight of Ankara. (Image with notes). The Museum of Anatolian Civilizations (Anadolu Medeniyetleri Müzesi) is situated at the entrance of the Ankara Castle. It is an old 15th century bedesten (covered bazaar) that has been beautifully restored and now houses a unique collection of Paleolithic, Neolithic, Hatti, Hittite, Phrygian, Urartian, and Roman works as well as a major section dedicated to Lydian treasures. The Mehmet Akif Literature Museum Library is a literary museum and archive opened in 2011 and dedicated to Mehmet Akif Ersoy (1873–1936), the poet of the Turkish National Anthem. Modern shopping areas are mostly found in Kızılay, or on Tunalı Hilmi Avenue, including the modern mall of Karum (named after the ancient Assyrian merchant colonies called Kârum that were established in central Anatolia at the beginning of the 2nd millennium BC) which is located towards the end of the Avenue; and in Çankaya, the quarter with the highest elevation in the city. Atakule Tower next to Atrium Mall in Çankaya commands a magnificent view over Ankara and also has a revolving restaurant at the top, where the city's panorama can be enjoyed in a leisurely fashion. The symbol of the Armada Shopping Mall is an anchor, and there's a large anchor monument at its entrance, as a reference to the ancient Greek name of the city, Ἄγκυρα (Ánkyra), which means anchor. Likewise, the anchor monument is also related with the Spanish name of the mall, Armada, which means naval fleet. At the Monumentum Ancyranum (Temple of Augustus and Rome) in Ulus, the primary intact copy of Res Gestae written by the first Roman emperor Augustus survives. The foundations of the Ankara castle and citadel were laid by the Galatians on a prominent lava outcrop (39°56′28″N 32°51′50″E﻿ / ﻿39.941, 32.864), and the rest was completed by the Romans. The Byzantines and Seljuks further made restorations and additions. The area around and inside the citadel, being the oldest part of Ankara, contains many fine examples of traditional architecture. There are also recreational areas to relax. Many restored traditional Turkish houses inside the citadel area have found new life as restaurants, serving local cuisine. As with all other cities of Turkey, football is the most popular sport in Ankara. The city has one football club currently competing in the Turkish Super League: Gençlerbirliği, founded in 1923, is known as the Ankara Gale or the Poppies because of their colors: red and black. They were the Turkish Cup winners in 1987 and 2001. Ankaragücü, founded in 1910, is the oldest club in Ankara and is associated with Ankara's military arsenal manufacturing company MKE. Ankaragücü used to play in the Turkish Super League until being relegated to the TFF First League at the end of the 2011–2012 season. They were the Turkish Cup winners in 1972 and 1981. Gençlerbirliği's B team, Hacettepe SK (formerly known as Gençlerbirliği OFTAŞ) played in the Turkish Super League for a while until being relegated. All of the aforementioned teams have their home at the Ankara 19 Mayıs Stadium in Ulus, which has a capacity of 21,250 (all-seater). A fourth team, Büyükşehir Belediye Ankaraspor, played in the Turkish Super League until 2010, when they were expelled, and currently are not a member of the Turkish league system. Their home was the Yenikent Asaş Stadium in the Sincan district of Yenikent, outside the city center. Ankara has a large number of minor teams, playing at regional levels: Bugsaşspor in Sincan; Etimesgut Şekerspor in Etimesgut; Türk Telekomspor owned by the phone company in Yenimahalle; Ankara Demirspor in Çankaya; Keçiörengücü, Keçiörenspor, Pursaklarspor, Bağlumspor in Keçiören; and Petrol Ofisi Spor owned by the oil company in Altındağ. Most of them, including Hacettepespor, play their matches at Cebeci İnönü Stadium in the Cebeci district. The fleece taken from an Angora goat is called mohair. A single goat produces between Template:Convert/Dual/LoutAnoneDbSoff of hair per year. Angoras are shorn twice a year, unlike sheep, which are shorn only once. Angoras have high nutritional requirements due to their rapid hair growth. A poor quality diet will curtail mohair development. The United States, Turkey, and South Africa are the top producers of mohair. ^ "Ankara". Collins Dictionary. n.d.. http://www.collinsdictionary.com/dictionary/english/ankara?showCookiePolicy=true. Retrieved 24 September 2014. ^ a b "Turkey: Major cities and provinces". citypopulation.de. http://citypopulation.de/Turkey-C20.html. Retrieved 2015-02-08. ^ "Municipality of Ankara: Green areas per head". Ankara.bel.tr. Archived from the original on 19 July 2011. https://web.archive.org/web/20110719022657/http://www.ankara.bel.tr/AbbSayfalari/hizmet_birimleri/Cevre/kisi_basina_dusen_yesil_alan.aspx. Retrieved 29 June 2010. ^ a b c d e f Chisholm 1911, pp. 40–41. ^ "Judy Turman: Early Christianity in Turkey". Socialscience.tjc.edu. http://socialscience.tjc.edu/mkho/fulbright/1998/turkey/turman3.htm. Retrieved 29 June 2010. ^ "Saffet Emre Tonguç: Ankara (Hürriyet Seyahat)". Hurriyet.com.tr. http://www.hurriyet.com.tr/seyahat/4407373_p.asp. Retrieved 29 June 2010. ^ Gorny, Ronald L. "Zippalanda and Ankuwa: The Geography of Central Anatolia in the Second Millennium B.C." The Journal of the American Oriental Society. Vol. 117 (1997). ^ a b c Baynes 1878, p. 45. ^ Pausanias, Description of Greece, 1.4.1., "Ancyra was actually older even than that." ^ a b c d Rockwell 1911. ^ Parvis 2006, pp. 325–345. ^ Gibbon, Edward. The History of the Decline and Fall of the Roman Empire. p. Chapter 23. ^ Norwich, John Julius (1997). A Short History of Byzantium. New York: Vintage Books. p. 241. ISBN 0-679-45088-2. ^ "Gezenadam: "Susuz Su Perileri"". GezenAdam. http://www.gezenadam.com/gezinotlari/dbtrips.php?ID=223. ^ "İnat değil kent kazandı". hurriyet.com.tr. 2010-12-20. http://www.hurriyet.com.tr/ankara/16575415.asp. 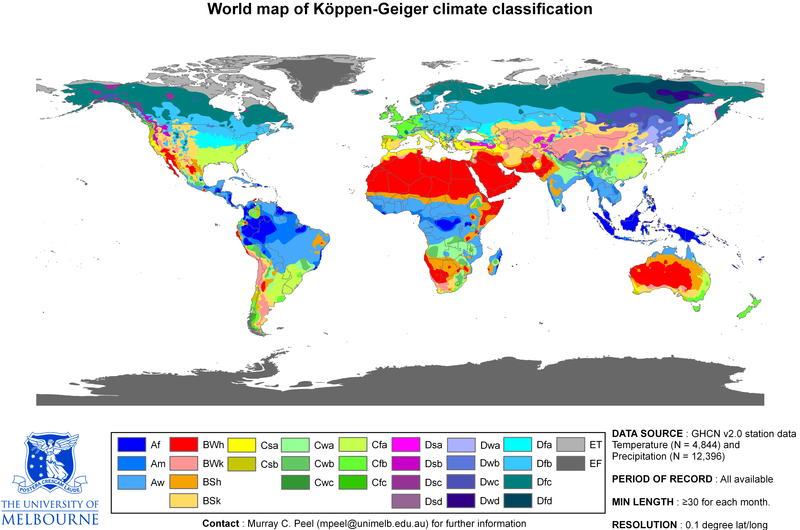 ^ "World Map of the Köppen−Geiger climate classification". Retrieved on 2010-08-01. ^ "Ankara" (in Turkish). Turkish State Meteorological Service. http://www.mgm.gov.tr/veridegerlendirme/il-ve-ilceler-istatistik.aspx?m=ANKARA. Retrieved 16 April 2016. ^ Türkiye istatistik kurumu Address-based population survey 2007. Retrieved on 9 October 2008. ^ FNSS Savunma Sistemleri A.Ş.. "FNSS Savunma Sistemleri A.Ş.". FNSS Savunma Sistemleri A.Ş.. http://www.fnss.com.tr/. ^ "Nurol Makina ve Sanayi A.Ş.". nurolmakina.com.tr. http://www.nurolmakina.com.tr/. ^ "MAN Turkiye". man.com.tr. http://www.man.com.tr/. ^ "Turkish Protester Ethem Sarısülük Is Dead, Family Says [UPDATED"]. The Huffington Post. http://www.huffingtonpost.com/2013/06/05/ethem-sarisuluk-killed-turkey-protests_n_3390502.html. ^ (19 April 2014) "Turkey's Prime Minister: Erdoğan v. judges, again". The Economist 411 (8883): 32–36. Retrieved on 31 October 2014. ^ "Turkish opposition party will challenge Ankara vote – Al-Monitor: the Pulse of the Middle East". Al-Monitor. http://www.al-monitor.com/pulse/originals/2014/03/turkey-election-chp-ankara-challenge-vote.html#. ^ "Is Something Rotten In Ankara’s Mayoral Election? A Very Preliminary Statistical Analysis – Erik Meyersson". Erik Meyersson. http://erikmeyersson.com/2014/04/01/is-something-rotten-in-ankaras-mayoral-election-a-very-preliminary-statistical-analysis/. ^ Joe Parkinson And Emre Peker (1 April 2014). "Turkish Opposition Cries Vote Fraud Amid Crackdown – WSJ". WSJ. https://www.wsj.com/articles/SB10001424052702303978304579475510758359516. ^ "Turkey's opposition to contest Ankara local poll result, citing election fraud". voiceofrussia.com. http://voiceofrussia.com/news/2014_04_01/Turkeys-opposition-to-contest-Ankara-local-poll-result-citing-election-fraud-5893/. ^ "CHP’s Ankara candidate vows to defend votes as police crack down on protest – POLITICS". hurriyetdailynews.com. http://www.hurriyetdailynews.com/chps-ankara-candidate-vows-to-defend-votes-as-police-crack-down-on-protest.aspx?pageID=238&nID=64391&NewsCatID=338. ^ "Turkey's Weirdest Mayor Won't Be Distracted By Electoral Fraud Allegations". VICE News. https://news.vice.com/article/turkeys-weirdest-mayor-wont-be-distracted-by-electoral-fraud-allegations. ^ "Ethnography Museum of Ankara – Müze". http://www.muze.gov.tr/en/museums/ethnography-museum-of-ankara. Retrieved 8 July 2016. ^ Planet, Lonely. "Museum of Anatolian Civilisations – Lonely Planet". http://www.lonelyplanet.com/turkey/central-anatolia/ankara/sights/museums-galleries/museum-anatolian-civilisations. Retrieved 8 July 2016. ^ "Ankara Art and Sculpture Museum Directorate". http://www.kulturturizm.gov.tr/EN,117565/ankara-art-and-sculpture-museum-directorate.html. Retrieved 8 July 2016. ^ "Turkish Air Force > Turkish Air Force > Air Force Museums > Ankara Aviation Museum". https://www.hvkk.tsk.tr/en-us/Turkish_Air_Force/Air_Force_Museums/Ankara_Aviation_Museum. Retrieved 8 July 2016. On the obverse of the 1 lira banknote of 1927–1939 (1. Emission Group – One Turkish Lira – I. Series). On the obverse of the 5 lira banknote of 1927–1937 (1. Emission Group – Five Turkish Lira – I. Series). On the reverse of the 10 lira banknote of 1927–1938 (1. Emission Group – Ten Turkish Lira – I. Series). On the reverse of the 10 lira banknote of 1938–1952 (2. Emission Group – Ten Turkish Lira – I. Series). On the reverse of the 100 lira banknotes of 1983–1989 (7. Emission Group – One Hundred Turkish Lira – I. Series & II. Series). ^ Chisholm 1911b, p. 953. ^ "Roma Yolu". arkitera.com. 14 March 2007. http://v3.arkitera.com/news.php?action=displayNewsItem&ID=26016. Retrieved 10 June 2013. ^ Sargın, Haluk (2012) (in Turkish). Antik Ankara. Ankara: Arkadaş Yayınevi. pp. 126, 127, 128. ISBN 978-975-509-719-0. ^ SonTech Yazılım. ": Hacı Bayram-ı Veli :. hacıbayramveli, hacı bayramveli, haci bayrami veli, hacıbayram, nasihatleri, hacı bayram cami, hayatı, hacıbayram-ı veli". Hacibayramiveli.com. Archived from the original on 25 May 2009. http://www.HaciBayramiVeli.com. Retrieved 5 May 2009. ^ "Museums – Ankara.com: City guide of Turkey's Capital". http://www.ankara.com/museums.html. Retrieved 8 July 2016. ^ "Eski Han'a yeni çehre: Suluhan/Kent Tarihi/milliyet blog". http://blog.milliyet.com.tr/Eski_Han_a_yeni_cehre__Suluhan/Blog/?BlogNo=171373. Retrieved 8 July 2016. ^ Tuncer, Mehmet. "Ankara: ESKİ HAN’A YENİ ÇEHRE : SULUHAN". http://ankaratarihi.blogspot.com/2009/12/eski-hana-yeni-cehre-suluhan.html. Retrieved 8 July 2016. ^ "EGO Genel Müdürlüğü". Ego.gov.tr. Archived from the original on 23 November 2008. http://www.ego.gov.tr. Retrieved 5 May 2009. ^ "Largest urban ropeway on Eurasian continent opens to celebrations in Ankara". Leitner ropeways. Archived from the original on 21 May 2014. https://web.archive.org/web/20140521233912/http://en.leitner-ropeways.com/Home/Largest-urban-ropeway-on-Eurasian-continent-opens-to-celebrations-in-Ankara. Retrieved 2014-05-21. ^ "Successful inauguration of Ankara – Istanbul High Speed Line". uic.org. http://www.uic.org/com/uic-e-news/410/article/inauguration-ceremony-of-ankara?page=thickbox_enews. ^ "Ankara 19 Mayıs Stadium". World Stadiums. http://www.worldstadiums.com/stadium_pictures/middle_east/turkey/central_anatolia/ankara_19_mayis.shtml. Retrieved 29 June 2010. ^ "Hentbol-Şampiyon kim olacak?" (in Turkish). Sports TV. 20 May 2013. http://www.sportstv.com.tr/sampiyon-kim-olacak-2/. Retrieved 29 May 2013. ^ "Index of /". Boorkestrasi.com. http://www.boorkestrasi.com/. Retrieved 22 May 2009. ^ "Angora Rabbit Breeds – How to Care for Your Angora Rabbit". Archived from the original on 25 January 2009. http://www.joyofhandspinning.com/angora-care.shtml. Retrieved 29 January 2009. ^ Carol Ekarius (10 September 2008). Storey's Illustrated Breed Guide to Sheep, Goats, Cattle, and Pigs: 163 Breeds from Common to Rare. Storey Publishing. p. 150. ISBN 978-1-60342-037-2. ^ "Angora Goats history". Daisyshillfarm.com. http://daisyshillfarm.com/My_Homepage_Files/Page2.html. Retrieved 29 June 2010. ^ "Sister Cities of Ankera". Ankera, Turkey: T.C. Ankara Büyükþehir Belediyesi Baþkanlýðý. http://www.ankara.bel.tr/en/foreign-relations-department/sister-cities-of-ankara#.V6zuCGVvfxs. Retrieved 2016-08-13. ^ "International Cooperation: Sister Cities". Seoul Metropolitan Government. www.seoul.go.kr. Archived from the original on 10 December 2007. https://web.archive.org/web/20071210175055/http://english.seoul.go.kr/gover/cooper/coo_02sis.html. Retrieved 26 January 2008. ^ "Seoul -Sister Cities [via WayBackMachine"]. Seoul Metropolitan Government (archived 2012-04-25). http://english.seoul.go.kr/gtk/cg/cityhall.php?pidx=6. Retrieved 23 August 2013. ^ "Sister Cities". Beijing Municipal Government. http://www.ebeijing.gov.cn/Sister_Cities/Sister_City/. Retrieved 23 June 2009. ^ daenet d.o.o.. "Sarajevo Official Web Site: Sister cities". Sarajevo.ba. Archived from the original on 12 April 2009. http://www.sarajevo.ba/en/stream.php?kat=160. Retrieved 6 May 2009. ^ "Twinning Cities: International Relations" (PDF). Municipality of Tirana. www.tirana.gov.al. Archived from the original on 10 October 2011. https://web.archive.org/web/20111010042121/http://www.tirana.gov.al/common/images/International%20Relations.pdf. Retrieved 23 June 2009. ^ "Tbilisi Sister Cities". Tbilisi City Hall. Tbilisi Municipal Portal. Archived from the original on 24 July 2013. https://web.archive.org/web/20130724120155/http://www.tbilisi.gov.ge/index.php?lang_id=ENG&sec_id=4571. Retrieved 5 August 2013. ^ "Oraşe înfrăţite (Twin cities of Minsk) [via WaybackMachine.com"] (in Romanian). Primăria Municipiului Chişinău. Archived from the original on 3 September 2012. http://www.chisinau.md/tabview.php?l=ro&idc=526. Retrieved 21 July 2013. ^ "Twin towns and Sister cities of Minsk [via WaybackMachine.com"] (in Russian). The department of protocol and international relations of Minsk City Executive Committee. Archived from the original on 2 May 2013. http://minsk.gov.by/ru/city/. Retrieved 21 July 2013. ^ "Signing Sister City Protocol between Zagreb and Ankara". Ankara Metropolitan Municipality. 27 October 2008. http://www.ankara-bel.gov.tr/AbbSayfalari/hizmet_birimleri/dis_dairesi_baskanligi/kardes_kent/kardes_kent_2/zagrep_ile_ankara.aspx. ^ "Frequently Asked Questions – Office of Protocol and International Affairs". District of Columbia. http://os.dc.gov/node/63502. Retrieved 18 September 2012. ^ Bangkok Metropolitan Administration; Greater Ankara Municipality (21 March 2012). "Friendship and cooperation agreement between Bangkok Metropolitan Administration of the Kingdom of Thailand and the Greater Ankara Municipality of the Republic of Turkey". http://iad.bangkok.go.th/sites/default/files/Angara.pdf. ^ "Tehran, Ankara to Sign Sister City Agreement Today". FarsNews. http://english.farsnews.com/newstext.aspx?nn=13920927001088. Retrieved 2013-12-18. ^ "Kardeş Kentleri Lists ve 5 Mayıs Avrupa Günü Kutlaması [via WaybackMachine.com"] (in Turkish). Ankara Büyükşehir Belediyesi – Tüm Hakları Saklıdır. Archived from the original on 14 January 2009. http://www.ankara-bel.gov.tr/AbbSayfalari/hizmet_birimleri/dis_dairesi_baskanligi/avrupa_gunu_kutlamasi.aspx. Retrieved 21 July 2013. "Angora". Encyclopaedia Britannica. 2 (9th ed.). 1878. p. 45. Chisholm, Hugh, ed (1911b). "Ancyra". Encyclopædia Britannica. 1 (11th ed.). Cambridge University Press. p. 953. Parvis, Sarah (2006). Marcellus of Ancyra And the Lost Years of the Arian Controversy 325–345. New York: Oxford University Press. https://books.google.com/books?id=-jgsQihyWTEC&dq=sarah+parvis&ie=ISO-8859-1. This article incorporates text from a publication now in the public domain: Chisholm, Hugh, ed (1911). "Angora". Encyclopædia Britannica. 2 (11th ed.). Cambridge University Press. pp. 40–41. This article incorporates text from a publication now in the public domain: Rockwell, William Walker (1911). "Ancyra". In Chisholm, Hugh. Encyclopædia Britannica. 1 (11th ed.). Cambridge University Press. "Members of Staff of the Museum" (2006). Guide book to The Museum of Anatolian Civilizations. Ankara: "The association for the support and encouragement of the Museum of Anatolian Civilizations." Dönmez offset (Printer). ISBN 978-975-17-2198-3. Wikivoyage has a travel guide for Ankara. 1 Both Israel and Palestinians claim Jerusalem as capital (see Positions on Jerusalem). Ramallah is the de facto administrative capital of the Palestinian Authority. This page uses content from the English language Wikipedia. The original content was at Ankara. The list of authors can be seen in the page history. As with this Familypedia wiki, the content of Wikipedia is available under the Creative Commons License.